It’s been a couple of months since Alex passed away and we still miss her very much. Today, May 5th, would have been her 14th birthday. I do wish we had more time together, but I am grateful for the time we spent with her. What Alex enjoyed the most was sunbathing. There were times when I had to tell her to come in or move away from the sliding doors because she was already panting. Funny how you miss the little things about those you love and are no longer with us. Happy birthday my amazing girl. We love you dearly. Till we see each other again. 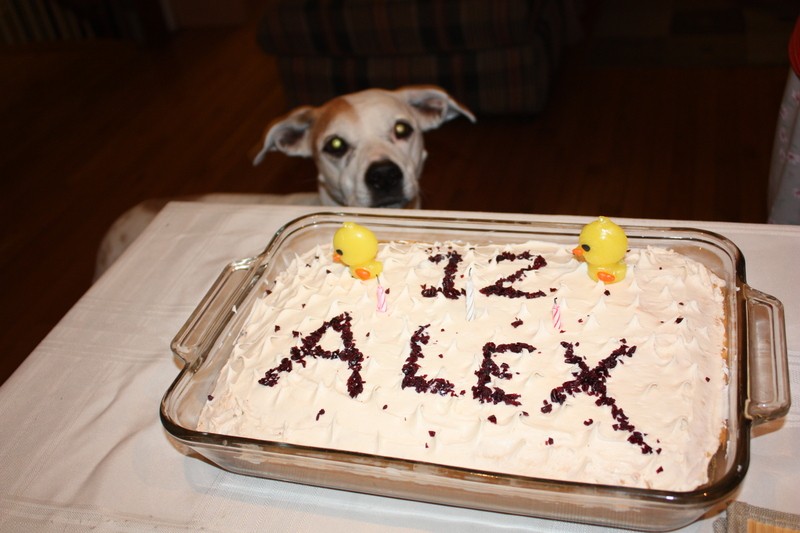 Yesterday, my beautiful Alex turned 12 and we decided to celebrate her birthday by taking pictures and having some cake. Alex wasn’t interested in posing for pictures because all she wanted to do was kiss her sister. Look at Bella’s face. Bella decided to hide from Alex because she did not want to stop her lovefest. 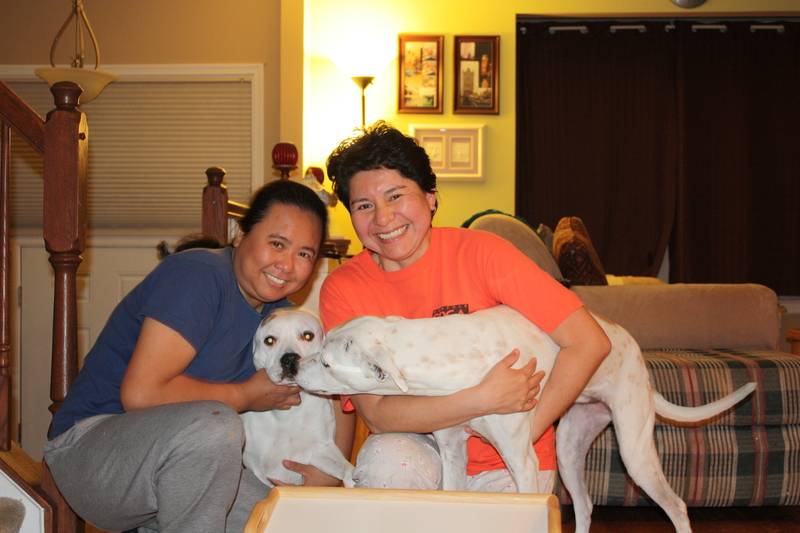 Either that, or Bella just did not want to be photographed. 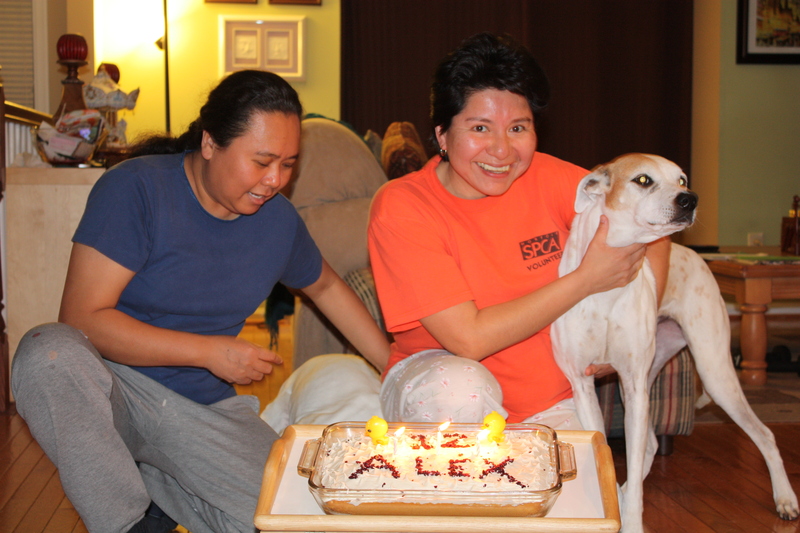 Cynthia made that cake for Alex, and as you can see Alex was impatiently waiting for her piece of cake. She was probably thinking, “Hurry up, please, and give me some cake.” Happy birthday my beautiful girl.